Stage 6 of the Loop Tour. Another day of hard climbing. It started in right away as soon as we left Oakridge. A short way out I pulled in at a rest stop and Lon was there. He twisted my arm and insisted I throw my panniers in the van to make the climb easier. Who was I to argue? I was glad I did as it was a long, long climb to the top of Willamette Pass. 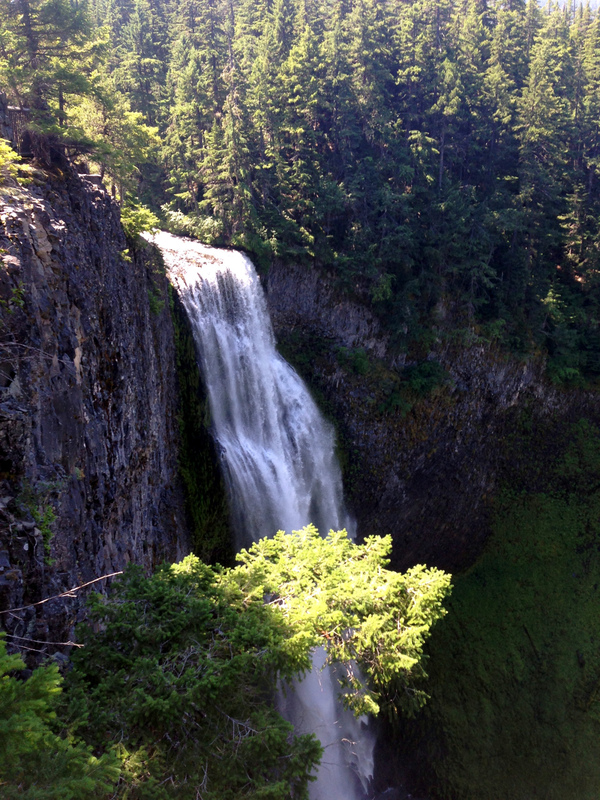 There were a couple of scenic stops along the way including Salt Creek Falls, but mostly it was just a grind. 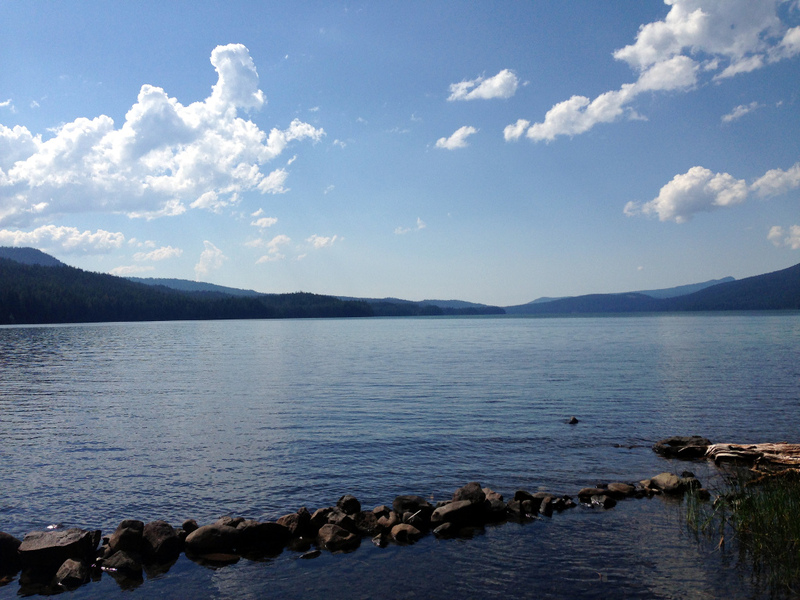 Very nice camping on Odell Lake. We had reserved a number of sites and so we were pretty well spread out. I got a nice spot pretty close to the lake. A few of us tried to swim, but it was super shallow with a rocky bottom. I could not walk out and ended up doing some sort of crab crawl to get out where it was deep enough to swim. It was fun anyhow. There was also a lodge and come cabins at the resort. Some of us hung out at the lodge in the early evening. Salt Creek Falls was the big attraction on the way up the pass. 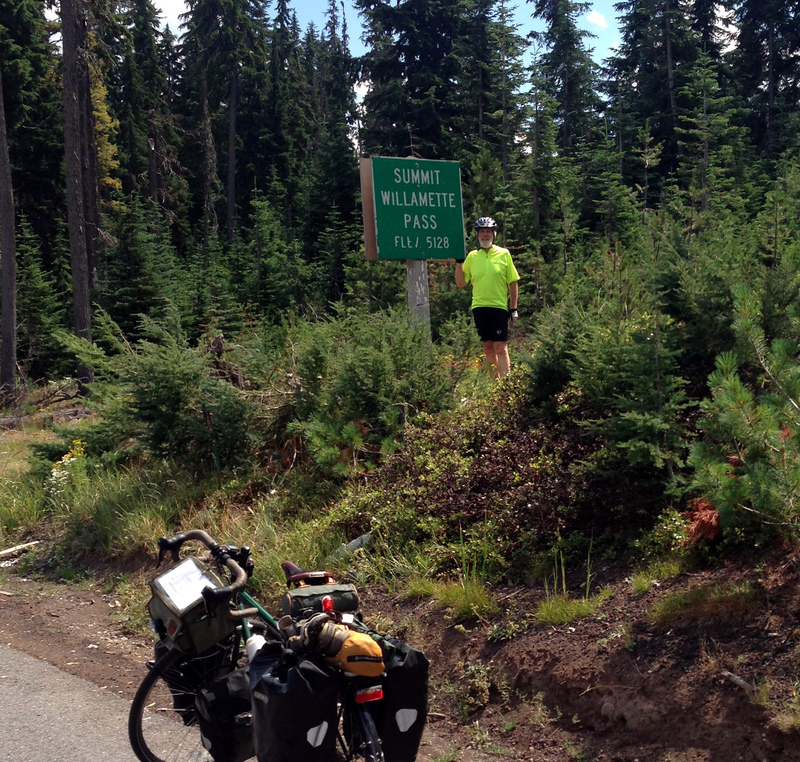 It felt really good to get to the top of Willamette Pass and notch up another Cascades pass. It was calm when we got Odell Lake, but then the wind picked up and it started blowing up some white caps. 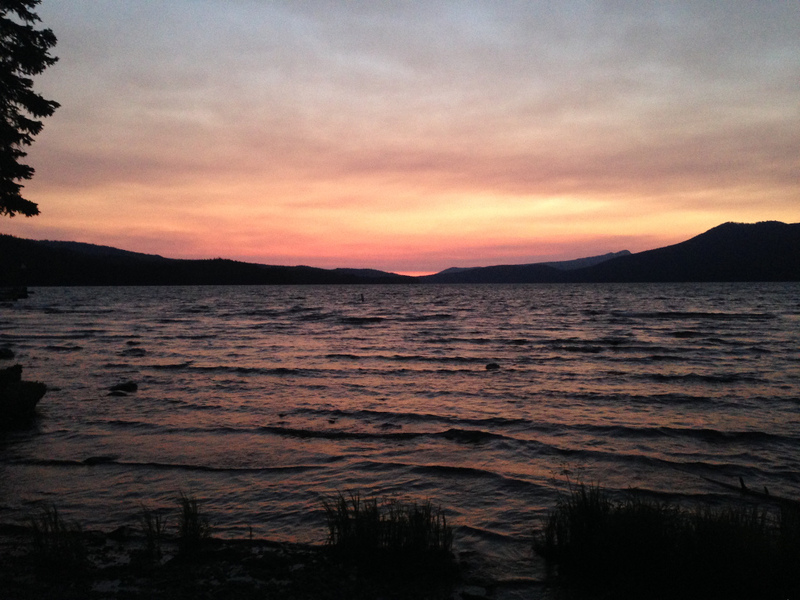 There was a nice sunset, which was enhanced by the smoke from the near by forests. We would be dealing with the smoke for the rest of the tour.